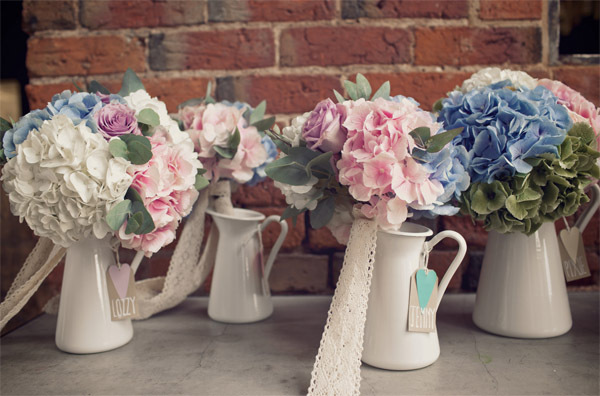 Beautiful pastel wedding colours and pretty florals are proving very popular in 2017. Here’s just a few ideas to help you get started. What’s great about a pastel themed wedding is being able to be as creative as you like with a variety of different pastel colours and shades. One of my latest designs, watercolour roses uses lovely pastel blues and pink. Other pastel colours work well with this design so please contact me to discuss options. I think this macaron tower is absolutely stunning. Such pretty colours, especially the pastel coral pink! It’s a good example of how you can mix a wide palette of pastel colours. 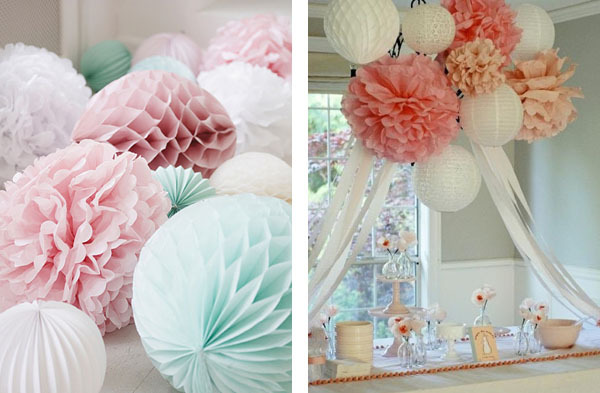 The paper pom poms would look lovely hanging from the rafters of a barn wedding. 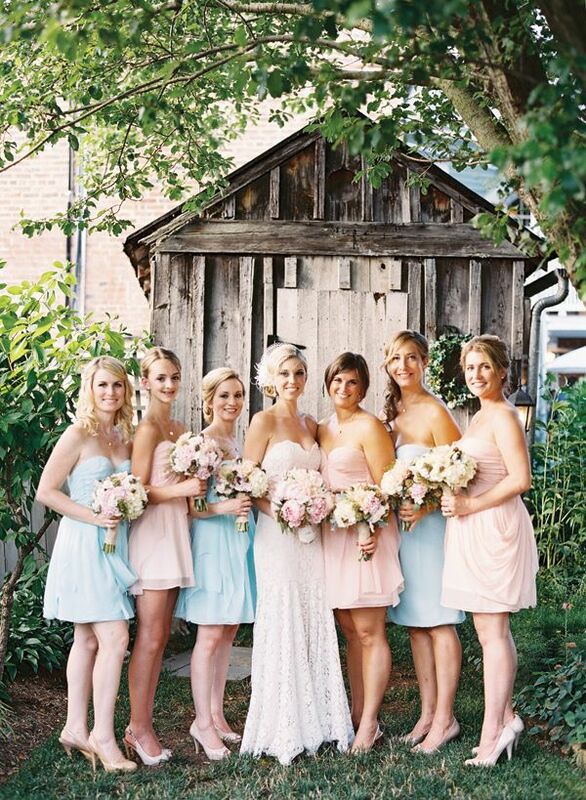 I also like the idea of using a variety of colours for the bridesmaids dresses whilst still keeping with the theme. These bouquets are lovely and spring like. The colours are soft and pretty and have a nice rustic country feel. 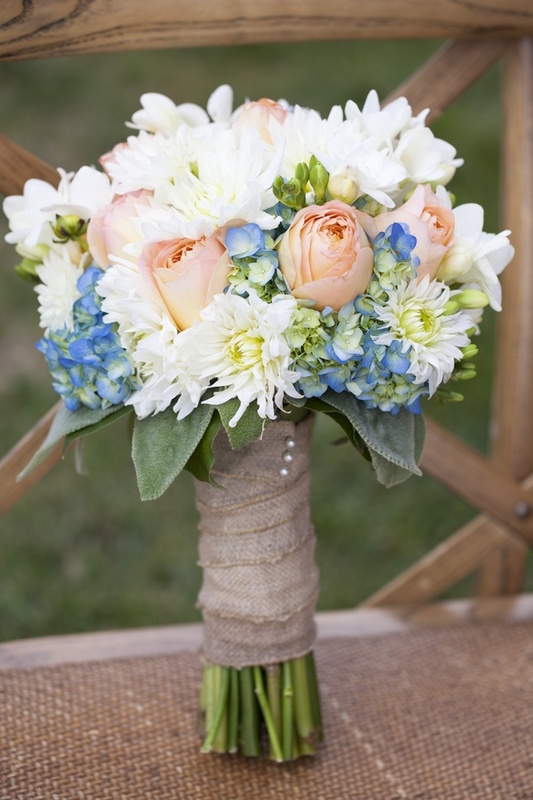 I especially like the bouquet on the left with the coral pink roses and more subtle blue flowers. 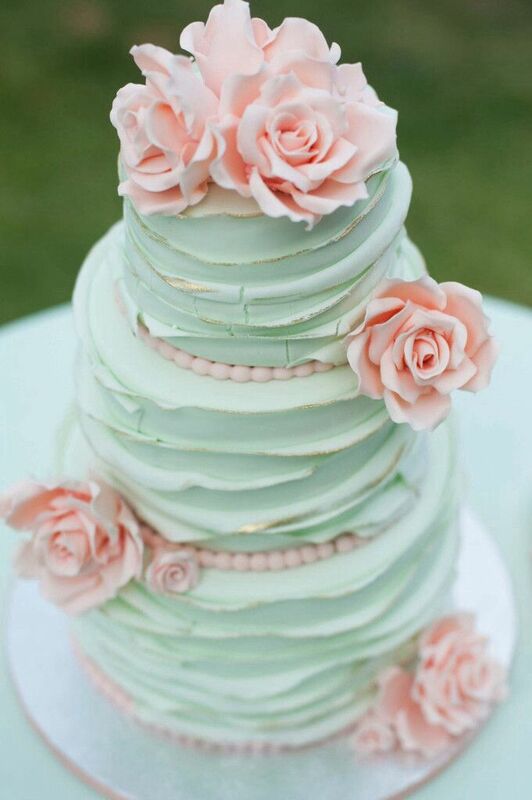 This pastel blue wedding cake is lovely, I really like the loose ripples of frosting with a hint of gold on the edges. It works beautifully with the pink roses and beads running around the base of the tiers. The blue bottles in the middle photo look great and probably quite easy to acheive, if you can’t find old bottles in the right colour you may be able to frost them or spray them. 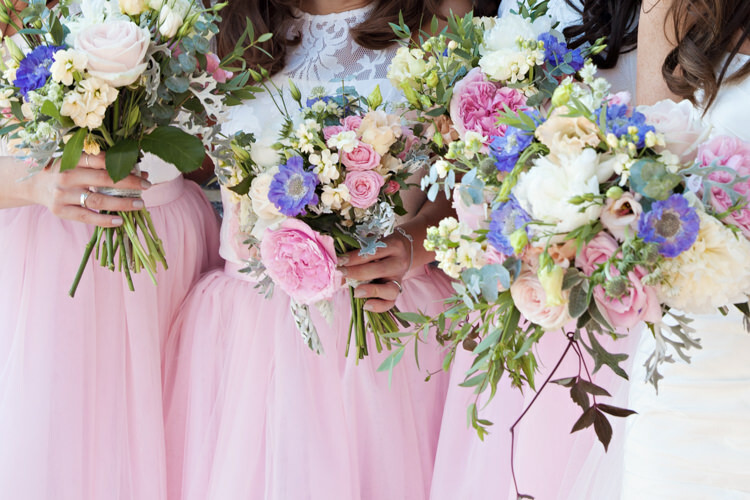 Pastel wedding colours is one of my favourite trends! They lend themselves well to a variety of wedding themes for example vintage, rustic, country or simply a pretty floral theme.